A mix of clouds and sun early, then becoming cloudy later in the day. A stray shower or thunderstorm is possible. High 77F. 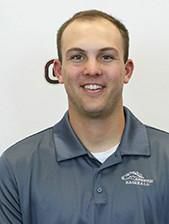 Winds SSE at 10 to 20 mph..
SIOUX CITY — Morningside second baseman Sam Huska gave his team a big boost on Sunday. Doane won Game 1, 4-3, but the Mustangs took Game 2, 12-1 Sunday en route to a doubleheader sweep Sunday at Lewis and Clark Park. Huska hit a two-run homer during a five-run fourth inning. Carter Kratz had an RBI double and Shea Patterson an RBI single in the inning, too. The Mustangs then drove in four innings in the fifth powered by a two-run double by Patterson. 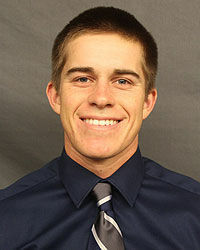 Mustangs freshman Colby Seuntjens held Doane to three hits and one run. He struck out five in the seven-inning game. The Mustangs (20-11, 10-7) scored a run in each of the first three innings during Game 1, including an RBI single by Nic Metcalf. Doane's Aaron Mason hit a two-run home run in the fifth inning to tie the game. That's just one of four hits Morningside starting pitcher Aaron Homme. Homme went seven innings, and was charged with two earned runs. He also walked two and struck out two. The Mustangs had five hits in Game 1. MOUNT MARTY 9-14, BRIAR CLIFF 5-11: Mount Marty closed the day out by scoring eight runs in the ninth inning in Game 2. However, Briar Cliff's Sawyer Olson had six RBI in Game 2, and both of his hits in the game were home runs. Olson led off the second inning with a solo homer, and in the fourth inning, he hit a grand slam on the first pitch of his at-bat. That put the Chargers (20-19) up 8-0. Mount Marty's comeback scored four times in the fifth inning on five hits. The Lancers then scored twice in the sixth inning. In Game 1, Peyton Griesert was 2-for-3 and Trevor Adler had an RBI single.